We know what your first question will be -- how many Beths are there in The Beths? According to our crack research team, the answer is one Beth (also known as Elizabeth Stokes), and several deputy Beths -- Jonathan Pearce, Benjamin Sinclair, and Ivan Luketina-Johnston. 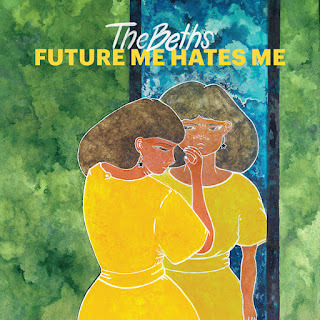 Based on the quality of music they create, it seems to us that the band has intuitively arrived at the perfect number of Beths (this opinion is limited to music; we don't offer relationship advice when sober so we have no opinion on whether this number of Beths in your life would be appropriate for romantic purposes). That important point sorted, cue music. 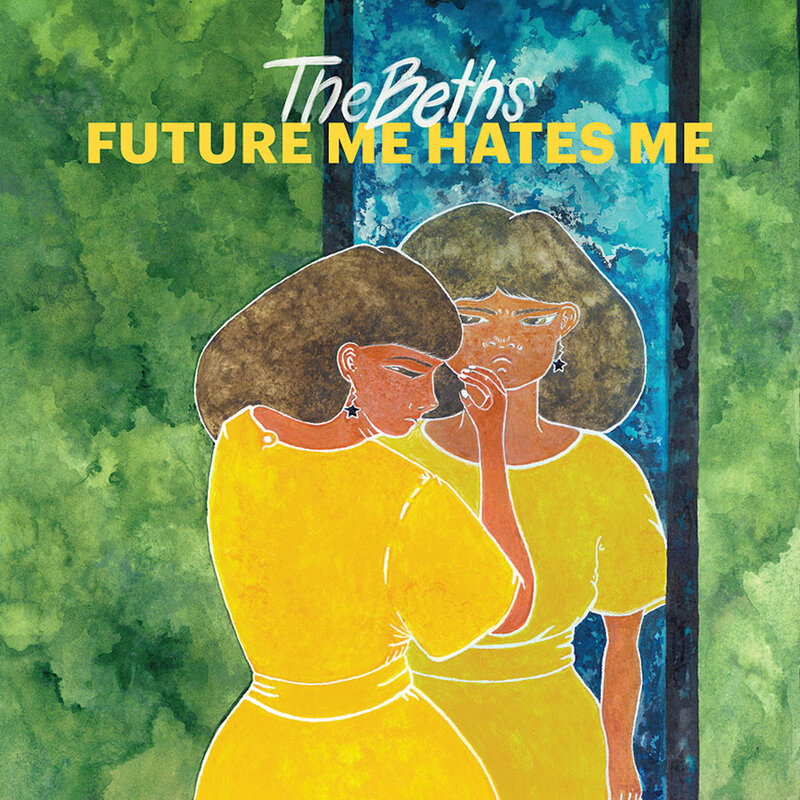 The Beths' new album, Future Me Hates Me, is the sort of poppy indie rock that fuels our days. The arrangements are lean and uncomplicated, leaving the spotlight on melodies, hooks and lyrics. The themes are reflective and, at times serious and melancholy, but the music is punchy, propulsive and even euphoric, and glazed with a bit of sugar. Stokes is a talented and versatile vocalist and hits the right emotional inflection on each track. This is a triple threat album, satisfying the brain, the heart, and the feet in equal measure. Future Me Hates Me is out on August 10 in digital, vinyl and CD formats via Carpark Records.